In the late 19th century, five Russian composers known for their nationalistic flavour and unorthodox training formed what became known as the 'Russian Five' or 'the Mighty Handful.' Around a century later, China’s own compositional 'big five' emerged, and, like their predecessors, changed classical music forever. Coming of age during the Cultural Revolution era meant being awash in revolutionary songs, and having – at best – only a dim memory of now-forbidden Western music. But in 1977, universities, academies, and conservatories opened again to the general public. Around 18,000 would-be students applied for the 100 spaces in Beijing’s Central Conservatory of Music, 30 of whom entered the composition department. Having little formal musical training, they brought with them their memories of folk music, ghost rituals and sounds of the countryside. From there, China’s own Mighty Handful emerged. To be sure, these are not the only notable composers China has produced; talent reaches far and wide, from the lyrical and celebrated Gao Ping to the prodigy Peng Peng Gong, who achieved world-wide renown before age 25. Then there’s 78-year old Wang Xilin, known as China’s Shostakovich, whose traumatic life has informed his passionate, agonised music. But for whatever reason – timing or talent – these five ushered in the country’s modern age of music. 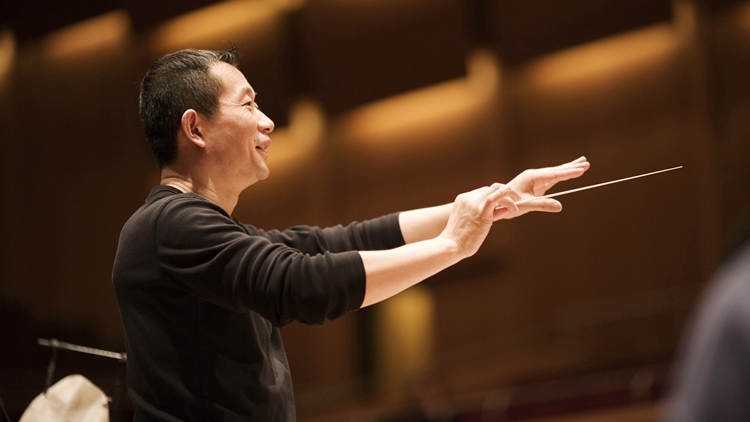 The group’s most famous member, Tan Dun is known for setting accessible Chinese culture to his own unique music. Best known for his Academy Award-winning film score for Crouching Tiger, Hidden Dragon (2000), or for his opera The First Emperor (2006), which debuted at New York’s Metropolitan Opera House and starred Placido Domingo, Tan made his name with his Organic Concerto trilogy, pieces that used natural materials to reflect the sounds and senses of his rural childhood. Zhou also says that many of that class had never even touched a piano (compared with today’s composition students, 80 percent of whom have perfect pitch). However, Zhou had preliminary education from his vocalist mother who gave lessons at their home, and who pushed him to play piano until she gave up. 'I loved vocal pieces, but I hated piano,' he recalls. 'I loved music, but I hated practicing.' Fortunately his mother had always said that 'the best musician is the composer,' and that message stuck. While Zhou Long realises that all the 1977 conservatory students were lucky, he was twice blessed, gaining not only an education but an equally talented wife. The only female member of the Mighty Handful, Chen Yi was born 1953 in Guangzhou to a family of doctors who loved music. She continued playing her beloved violin throughout the Cultural Revolution (using the mute, just in case); as a teenager, she headed off to do rural labour – along with the rest of her generation – and brought her instrument with her. At 17, she returned home and was appointed concertmaster and composer of Guangzhou’s Beijing Opera Troupe; later, she continued her violin studies with the late Professor Lin Yaoji, known as the Isaac Stern of China because of how many young musicians he mentored to greatness. In fact, Chen composed Xian Shi (1983), China’s first viola concerto. A programme of her works Ge Xu (1994), Set of Chinese Folk Songs and Tang Poems (1994), and Symphony No. 2 (1993) led to three sold-out gala concerts in San Francisco. One glance at Guo’s career shows his was an equally valid choice. 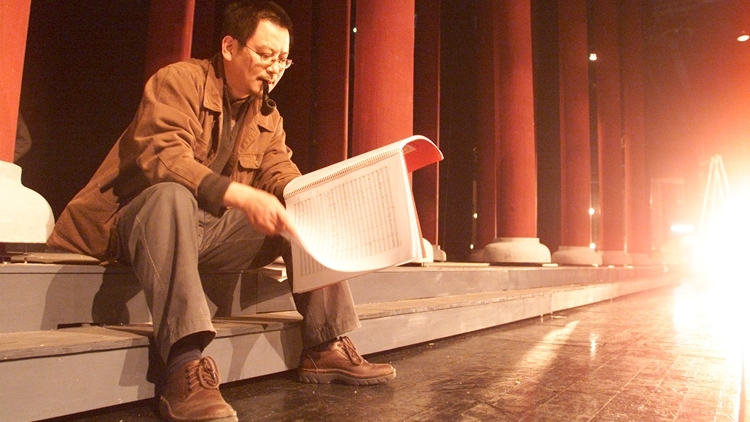 Born in 1956 in Chongqing, the composer has plumbed deep into Chinese history and literature to create world-celebrated chamber operas such as WolfClubVillage (1997), based on Lu Xun’s Diary of a Madman, and Night Banquet (1997-98), inspired by a painting about Song dynasty court official Han Xizai, who found that his only way to protest the corrupt government was to hold regular bacchanalian orgies. 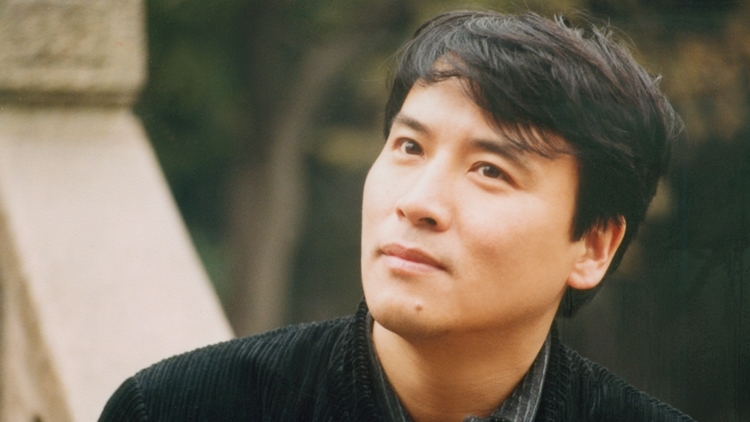 Guo has also done countless film and television scores, as well as chamber music and works for piano and percussion ensembles, but his most famous piece may well be his acclaimed one-act opera Poet Li Bai (2007), featuring a soprano (Moon) a tenor (Wine) and a baritone (Li Bai), about a hapless poet torn between earthly desire and eternal bliss. Arguably China’s most self-confident composer, Ye Xiaogang feels he has a natural talent for writing music. 'I was born for it,' he says. 'Even when I played Beethoven or Mozart, I was thinking ‘If I had written this piece, I would have done it this way’.' He even compares his speed to Mozart, although he admits he makes changes. 'I’m quick, but the quality is still good,' he says. He also claims a unique ability in the Chinese language, possibly owing to his copious reading of panoramic subject matter; he is even writing an autobiography called Boundless Sea of Bitterness. A glance at Ye’s life story shows this title to be apt. During the Cultural Revolution, his persecuted father tried to commit suicide; labelled a traitor, he was carted off in front of gleeful neighbours while a ten-year-old Ye watched in despair. 'All my early work is dark and emotional,' he says. 'Some of it still is. You don’t ever get away from that.’ As an adult, his wife gave birth to a Downs Syndrome child, then asked for a divorce, leaving Ye to raise his daughter alone. Fortunately, financial success is not something he has to worry about. He has composed numerous film scores, which have their own challenges, given that ‘you’re not writing for yourself; you’re speaking for the characters.’ But he is equally known as a classical and opera composer. In 2009, he reworked Mahler’s classic Das Lied Von Der Erde, using the same Chinese poem Mahler did but setting it to his own music. In 2010, Ye wrote Farewell My Concubine for the Beijing Music Festival, one of the few (only?) representations of male homosexual love on the Chinese stage. ‘It’s not direct, it’s implied,’ he said. ‘We’ve had some novels [on the subject], but not on stage; everyone’s been dying for that.’ Ye had initially accepted the project because ‘people trust me; they know I can do a historical opera’, but also because he felt a Chinese storyline worked better with Chinese music. ‘The revolutionary operas, the melodies were so good, but the subject can never be played outside of China,’ he says. ‘The Western form, it’s hard to fix the melody because of the four tones.’ Whatever his formula, something works.